First Dance Studios is based in Woking, Surrey and comprises of two professional dance studios where First Dance Ltd teaches all couples to dance. 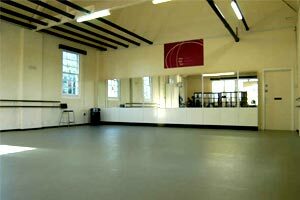 Studio 1 is the main studio for holding group lessons of up to 20 people, with a coffee area at the back. Studio 2 is a smaller studio, perfect for private lessons for individuals or couples and a more realistic size of a dance floor at most venues.